The bestselling Politically Incorrect Guide series provides an unvarnished, unapologetic overview of controversial topics every American should understand. 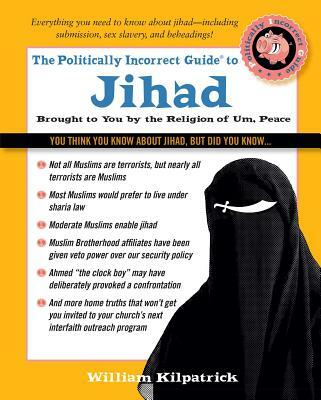 The Politically Incorrect Guide to Jihad pulls apart the dark world of radical Islam, exposing the inner-workings and motivations of the most violent menace of the 21st century. William Kilpatrick is the author of Christianity, Islam and Atheism: The Struggle for The Soul of The West and Why Johnny Can't Tell Right From Wrong. His articles on Islam have appeared in Investor's Business Daily, FrontPage Magazine, Jihad Watch, Catholic World Report, the National Catholic Register, World, and other publications. Kilpatrick previously taught at Boston College. For more on his work and writings, visit his website, turningpointproject.com.